Magnetic badge holders are used when you want to avoid damage to clothing. Our magnetic badge holders feature two magnets - one sealed into the front portion of the holder and one in the back. 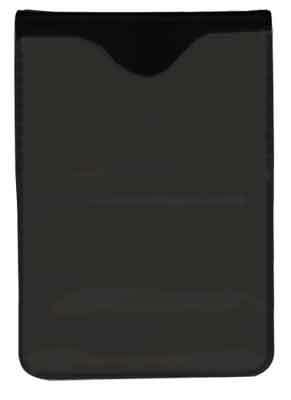 Most often attached to a breast pocket or around a belt, magnetic badge holders are versatile and popular. Simply insert your badge into the clear plastic window. Magnetic badge holders are a great alternative to badge holders with clips and pins.